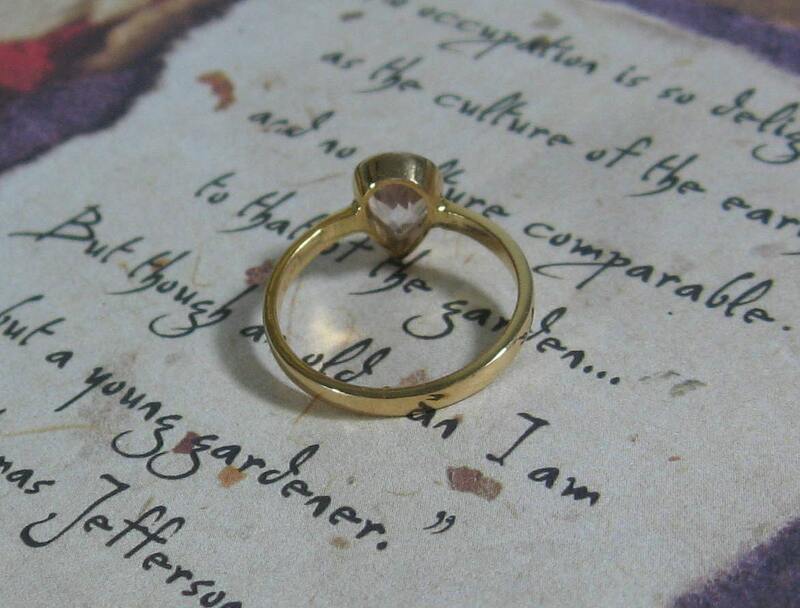 A fabulous alternative to the traditional engagement ring. 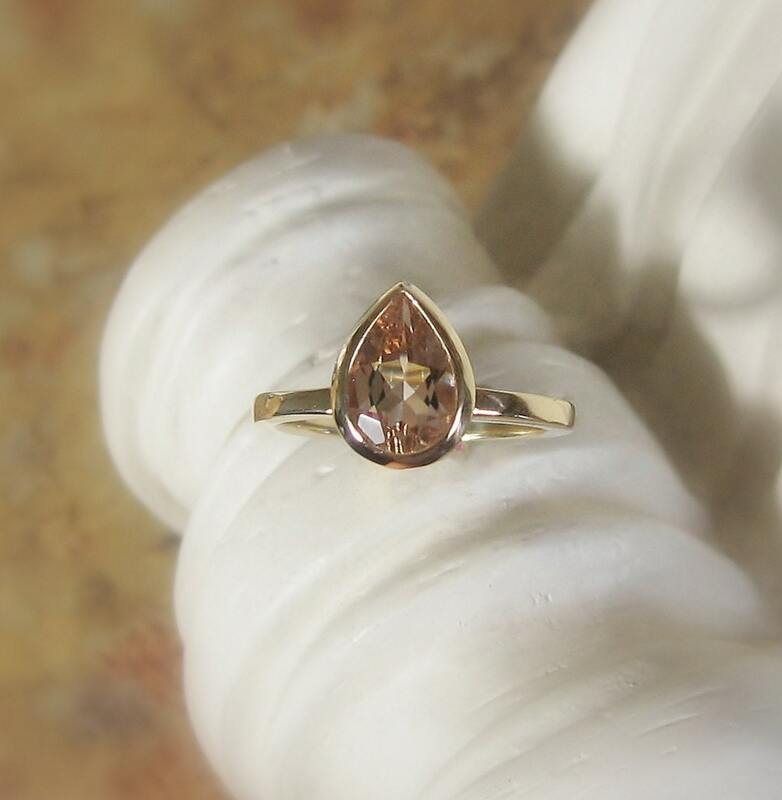 A lovely 8x6 pear shaped, gently faceted Peach Morganite gemstone with 14K Yellow Gold. This gem boasts a peachy/pink lavender color and I feel it is one of the most difficult to photograph. 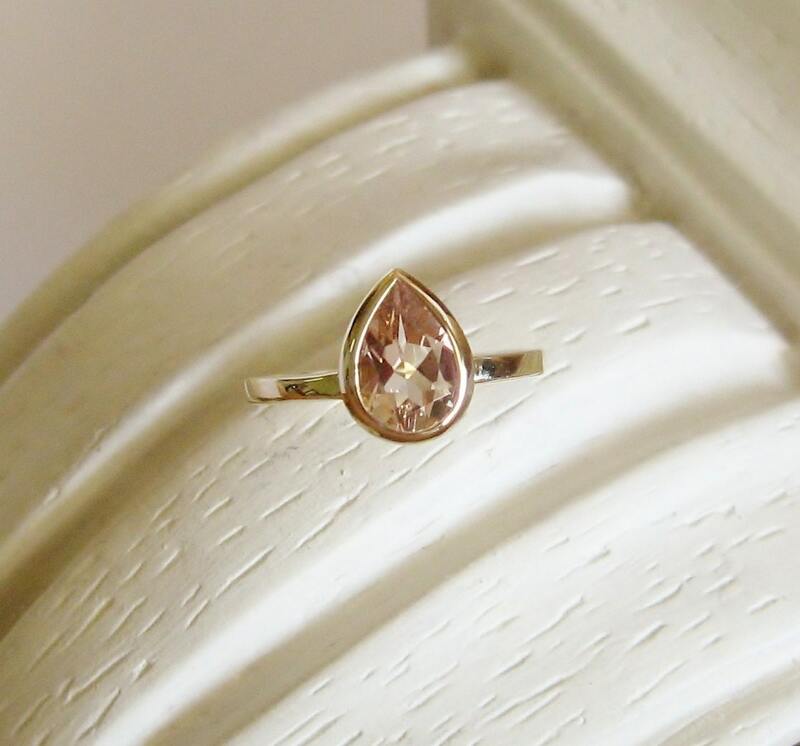 14K yellow, white, and rose gold. 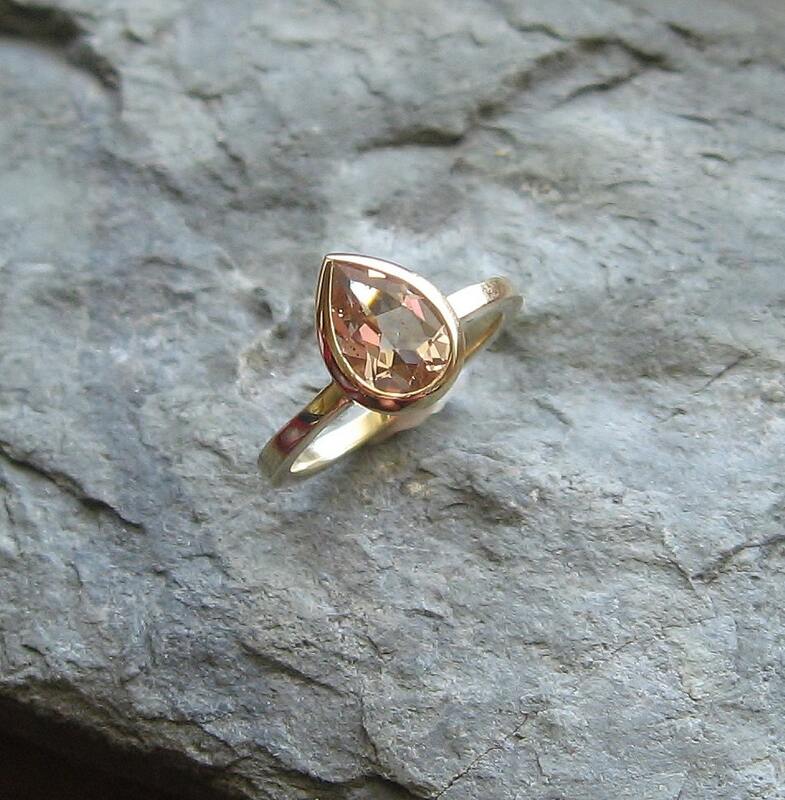 **Other Stones and sizes are available** Feel free to contact me and we can work together. Additional charges may apply. Size 4-7.75 ~ select your size at checkout. ~Current MTO time is 4-5 weeks.